Obligatory Iron Maiden reference aside, I spent the better part of 2017 hobbled by injuries and insomnia. Alongside time constraints, I was now only training 2-3 times a month instead of my usual 2-3 times a week. My conditioning plummeted to an incredibly low point on the mats. Sure, I could still run 3 to 4 miles at a reasonable pace, but my mat wind was somewhere between Keats lamenting consumption to a bird and the Marlboro Man. I was usually toast after one 5 minute round and was almost catatonic after 3 unless I rolled with someone relatively new to grappling or a higher belt who was letting me work my game. Worse, my new school starts all rounds standing so factoring in takedowns for every roll only added to my exhaustion. Now if my ego plays any part in a roll it’s that I really don’t like being outworked. Tapping is not much of an issue, but I’ve always prided myself on being a bit of a badger on the mats (I’d like to think it’s my spirit animal though the way my colon’s been acting this last week it might have to be the mighty sea cucumber :-/). Also, I think it’s a lot more fun to motor through a roll, especially when the technique is on point (and the roll doesn’t devolve into a mosh pit at your local Gwar concert). Regardless, all that joy and mild bravado fell by the wayside. Most of my rolls ended with me on Ebay in desperate search for an iron lung. I’m the first to admit that there is no substitute for training and know the most common answer to BJJ conditioning is to just roll more. This, however, was not an option for me due to the aforementioned reasons. I was desperate for some kind of supplemental workout that would directly benefit me on the mats. While Payton took running hills to near Sisyphean levels, I figured I could be a wee bit more measured. My routine is pretty simple. I set the treadmill at its steepest incline and do 8-10 sprints each for roughly 30 seconds with about 30 seconds to a minute rest between. The trickiest part is learning to jump on and off without faceplanting. Otherwise, the routine is pretty simple though they are fatiguing beyond measure. By the time I’m on my 4th or 5th sprint I’m gasping for air. Still, they provide a kind of masochistic joy and are a little badass relative to your average discount gym where so many folks insist on doing curls in the squat racks. Academic studies aside, who’s ready for some anecdotal evidence? Howard Dean? Yeah! It’s been roughly 3 months of consistent hill sprints 2-3 times a week and my cardio has drastically improved on the mats. I not only have more energy, I have more burst. For example, I don’t have to put a stupid quota on how many bridges I allow myself during a roll. Of course, higher belts still leave me gasping at times, but I’m no longer evaporating into mist after the first round. In fact, I’m back to outworking some folks who had my number for a spell. 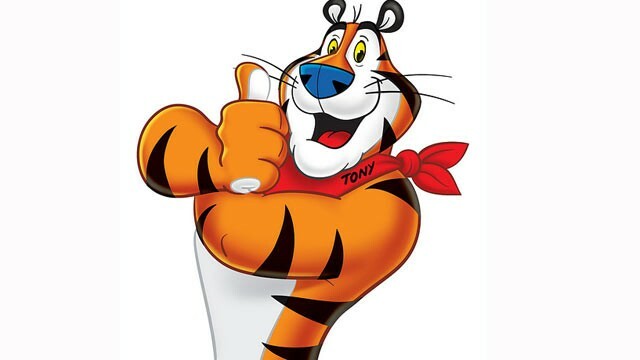 I did 5 rounds last week and felt great, like, Tony The Tiger great. Of course, I was tired, but it didn’t feel like some Herculean effort (side note: Zeus is like the Harvey Weinstein of the Greek pantheon, amirite?). My ability to train consistently may remain at a premium at the moment, but I have zero doubt that hill sprints are an absolute boon to my cardio on the BJJ mats. Have you tried hill sprints? What supplemental exercises translate best for you on the mats?